The Junior Inter-Regional Regatta will be held on Saturday 27 April 2019 at Peterborough. Last year our region did well and came 7th overall out of the 12 English and Welsh regions. As we were the highest placed region out of the bottom 6 in 2017, we also won the Martyn Humphrys Cup. See a full report of 2018 here. The trials to choose our regional team for April were to have been held at Cambois RC on Saturday 9 February 2019, but due to high winds forecast, this was cancelled and rearranged for Saturday 2 March 2019. The conditions on the rearranged day were good despite Storm Freya lurking. 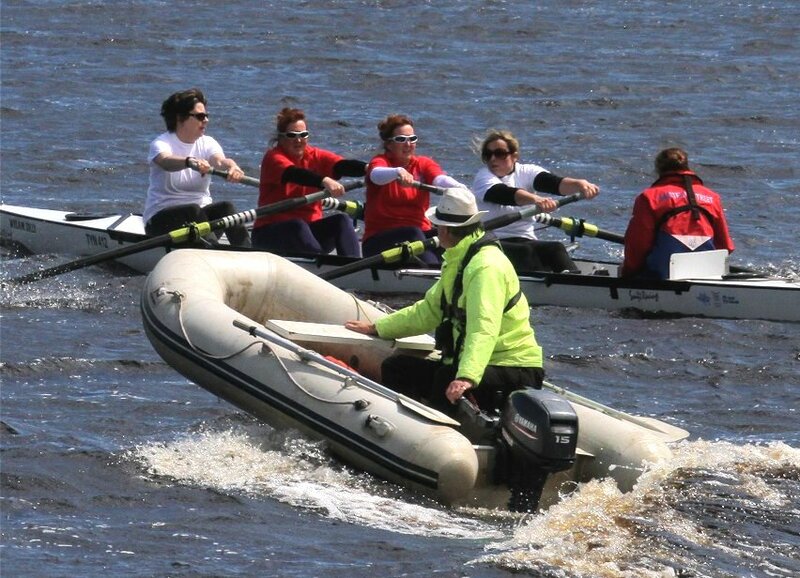 Crews raced in head race format over five divisions. The course was 1000 metres (the Peterborough distance). The results of the day are here as an xlsx and here as a pdf. The selection of crews to represent the region at Peterborough will be based largely on these results, but may not follow the winners exactly for various reasons. The selected team will be posted here in due course. Thanks to Cambois RC for being the usual hospitable hosts. This page updated on 03-03-19. A report on Junior Rowing News is here: http://juniorrowingnews.com/2018/02/14/northern-jirr-trials-review. Our regional contact is Pauline Higgins at ghiggins20@aol.com.